Election fraud - Making sure your vote counts! 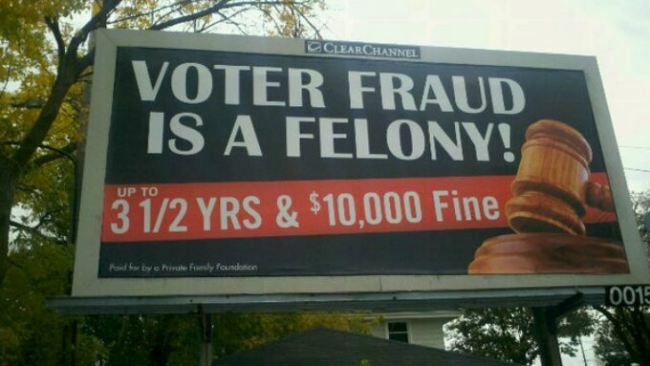 Some say election fraud exists and is rampant, some choose to ignore it and declare it non-existent. The truth lies somewhere in between. There have indeed been incidents of people assuming the roll of a dead person, as well as people with multiple homes voting in multiple states. In a really tight election, these votes can indeed sway an election, but the percentage of intentional fraud is actually very small. A lot of what people call fraud is more persuasion - Calling people, asking if they voted, do they need a ride, etc. There is nothing illegal about this, and indeed this can bring out a large number of voters who would have otherwise stayed home. Then there is the concern of actual election process fraud and tampering. In this case, paper ballots may be the least reliable and may be the largest problem when it comes to election fraud. Paper ballots are easily destroyed, and even though most machines have paper tape or other backup, unless a recount is held, the public will never be aware of the missing ballots. There may be other forms of fraud going on, such as tampering and fraudulent votes placed by poll workers themselves, but this is incredibly difficult as both Parties and the Judge of Elections are always present. In Pennsylvania and some other states that use electronic voting machines there has been a concern regarding votes changing. While the manufacturer insists that it is a "calibration error" I don't believe that for a moment! I have personally witnessed this where you check the candidate you want and the checkbox shows up correctly (no calibration error here - the right box got checked), but then you reach the final "submit" screen only to find your selections have changed! If you submit without going back and correcting the error, you will vote for the wrong candidate! A few friends of mind have told me they had to go back two or three times and one had to get the Judge of Elections to unplug and restart the machine! So, when using an electronic voting machine, all you have to do is make sure that the last screen is correct before you submit your vote. That screen will be accurately counted - It is almost impossible to record a different vote at that point because the counties check these machines before the election and make sure they are tallying correctly! This year in particular all Parties will be closely watching the election and the vote totals. If you see something not right when you go to vote, or hear of election fraud, tell the Judge of Elections at your polling place immediately!